The Landmark Society is returning to Cuba in April 2017. Come with us to experience the Cuba of today and interact directly with Cuban experts to discover what challenges and opportunities they anticipate as economic opportunities expand. Checking out the architecture in Old Havana. The eight-day/seven-night trip (April 20-27, 2017) will give you a tour experience like no other Cuban itinerary. Our guides and hosts will be architects, urban planners and artists. We’ll explore the historic architecture of Havana as well as the colonial cities of Cienfuegos and Trinidad and the coastal city of Varadero. You will also experience other aspects of Cuba’s art and culture, including everything from the Museum of Fine Arts to Finca Vigia, Hemingway’s home for over 20 years. This trip is limited to 25 guests, and will be accompanied by our executive director Wayne Goodman and additional Landmark staff members. Cost for the tour is $5,395 for Landmark members; $5,795 for non-members. The single supplement is $900. 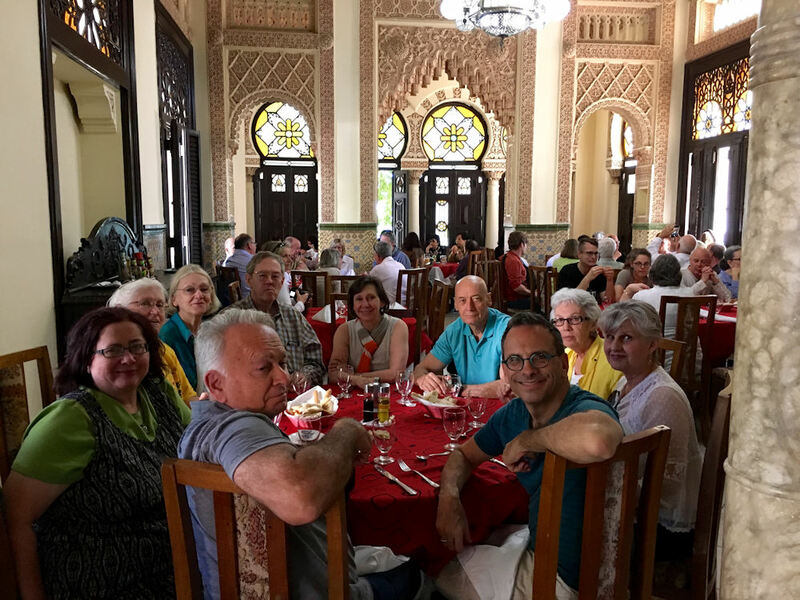 Enjoying another delicious meal in Cienfuegos. 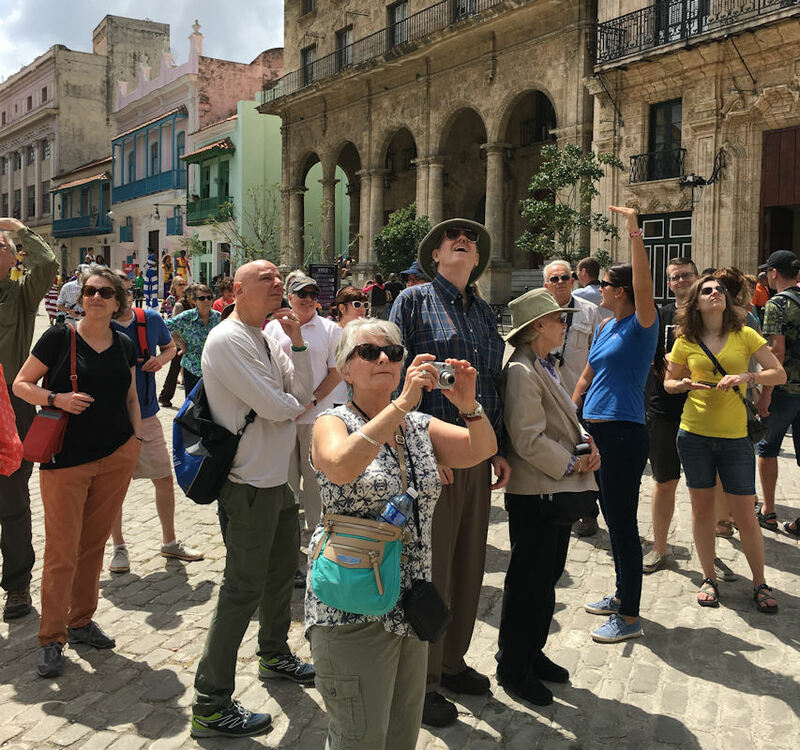 To download a detailed itinerary and registration registration form for the tour or view photos from this year’s tour, visit the Cuba 2017 page. You may also call us at (585) 546-7029 x 11 to hold a space on the tour with a credit card, but due to the nature of travel between the US and Cuba, all registration applications must be submitted in writing. Registration deadline is Monday, June 27. This entry was posted in Updates and tagged #cubaredux by Gina DiBella. Bookmark the permalink.